Ināra Jakubone is director of the Latvian Music Centre (LMIC) since 2006. She represented the LMIC on several international platforms such as EBU, AMIC, ECPNM, Midem and Womex and was responsible for many of its publications. Before the LMIC, Jakubone worked as producer and later as head of international relations at Radio Latvia. She studied musicology at the Latvian Academy of Music, and was editor of the Latvian music magazine Mūzikas saule; she still works as a freelance journalist for Radio Latvia 3 ‘ Klasika’ and writes articles for newspapers and magazines. 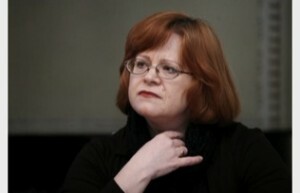 She was jury member for the Latvian Music Grand Prix and member of the Music Council of Latvia. Since 2011 she functions as expert for the EACEA project evaluations of the EU Culture programme.